Socrates is widely regarded as one of the individuals that shaped the world. It is believed by some that its history would be profoundly different had he not existed. 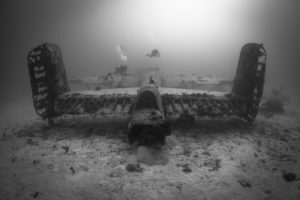 In some ways, the person you choose to be your instructor for advanced level training may have a profound effect on your diving in the history of your life. He or she may also shape the path you will now take as you continue to explore the underwater world. Advanced level training has not been as affected by electronic learning but it is working its way into the equation. Self-study was always a part of the advanced class. There came a point though as an instructor where this began to make less and less sense to me as the primary method of learning about advanced dives. I began to question why there was less face time with an instructor when the risks were actually higher. It was at that point that I made the decision to modify my own advanced level standards. The first modification was to make actual classroom time mandatory and students had time to absorb the material. During the classroom sessions, we would cover the actual dives but also look at risk management, gas management, decompression procedures, and rescue considerations. The basis for this was the technical dive training I undertook before becoming a recreational instructor. This fundamentally changed the way I looked at and conducted dives. I recommend everyone even considering becoming a dive professional do this before taking that step. When a person begins technical dive training one of the very first lessons taught is how many ways diving can injure or kill a human being. Then we take those things and look at what can be done to reduce the risk of that happening. We need to understand that it is impossible to eliminate the risk. The only way to do that is not to get in the water at all. All diving has risks. Even in the controlled environment of the pool things can and have gone wrong. When making the important decision to choose an instructor for advanced level instruction we need to make sure we are getting the right person. In my first book, I came up with a list of 21 questions to ask the new Open Water instructor. All of these apply to the Advanced Level instructor as well, with some additions I feel are important. Here are additional questions to ask the advanced level instructor. Pay special attention to the reasons why they are asked. Do you have technical diving training and experience? 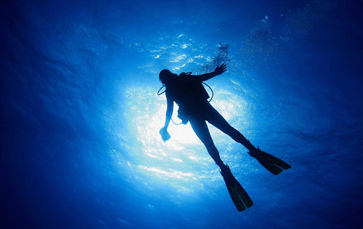 Technical dive training includes items that are sometimes not emphasized in recreational training. Not the least of which is a more realistic view of the dangers of SCUBA diving. How often do you do advanced or technical level dives outside of classes? Experienced divers and instructors realize that the more diving they do above the level of your students the better. How many students do you take on advanced level dives? Advanced level dives require a greater degree of supervision and concentration on the part of the instructor. Do you allow different equipment configurations to be used? 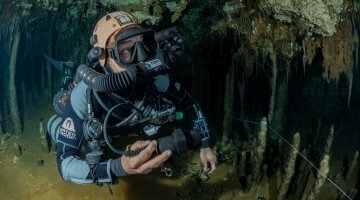 If students show up with a sidemount rig, doubles, or large single tank it is my job to teach them the course in the gear they are using. If diving single tanks do you recognize that an al 80 is not suited for the deep dive and provide larger cylinders? You should know why an al80/11L is not appropriate for deep dives (80 feet/25 meters plus generally). Hopefully you can get a larger cylinder or fall back to one of the double cylinder configurations. What size bailout/pony bottle do you have for the class to rent if I don’t own one? Knowing that a redundant air supply should be along on any deep dive where the gas supply is limited, pony bottles should be available. Are you adding to the class or just teaching to the minimum agency standards and why? You really don’t want to hear they are teaching to the latter. Minimum standards should not be words that are associated with this. Most agencies allow instructors to add to the class to account for geographical variations and their unique challenges. 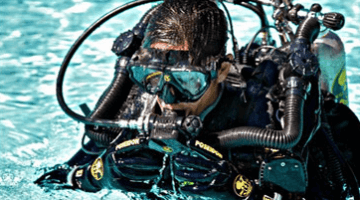 Even if these additions are not mandatory requirements to attain a certification, their availability is an important tool for the diver’s development. What is the maximum depth you will be taking us to on the deep dive and what actual dive skills will we be asked to do? The maximum depth that is allowed in most advanced level classes is 100 feet/30 meters. Some agencies consider anything below 60 feet/18 meters as meeting the minimum standards for the deep dive. What did we just say about minimums? Is every dive going to introduce new skills? They certainly should! All the preparation you have hopefully done to this point has included polishing your basic skills so these do not have to be remediated. They should be the foundation upon which you are building. In this spirit, each dive should show you a new skill that will serve you in the future. 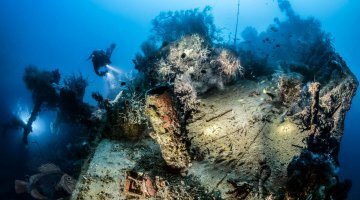 Is certification as an advanced level diver guaranteed after this class? The answer you want to hear is “Absolutely not!”. What should be guaranteed is training. Certification should be totally dependent on you meeting all the performance standards for the class. Not on you paying for it. The last question I would expect to hear is this, “If I feel I need more time or practice will you allow that and make time for it?” My answer to this is “Absolutely YES!!”. To me this is the kind of student I dream of as an instructor! It shows a commitment to learning. Every conscientious instructor wants you to be this diver! As with the first set of questions, I hope that you will consider asking all of these and hope they inspire you to think of more that may apply. This is your safety, education, and life we are talking about. It deserves this level of attention from you and your loved ones. Dive Safe!